In the midst of loading the moving van, the Giant cut his thumb. 18th century pocket knives are no substitute for 21st century tools. Or, where I’ve been, what I’ve been up to, and why I haven’t posted. Six weeks ago, I left the museum where I’d worked since the Giant was a toddler, and the duplex I’d lived in for more than a decade. 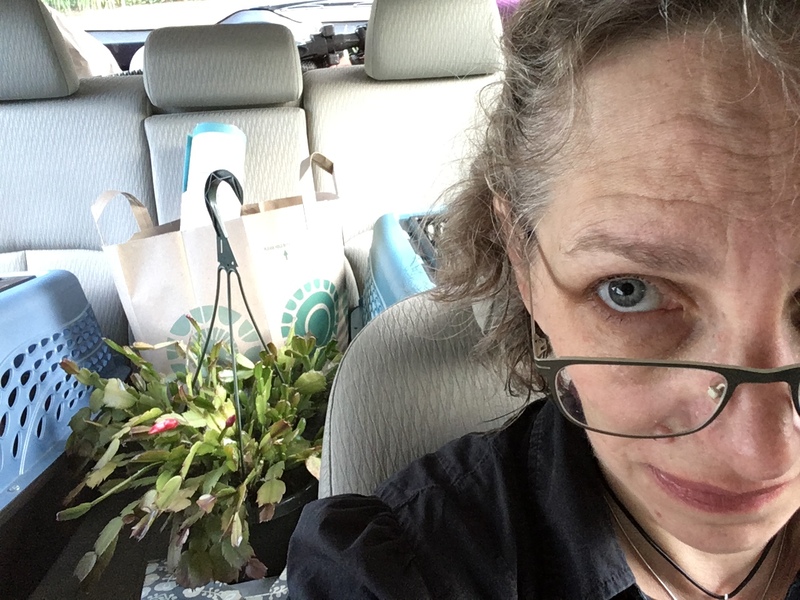 I spent the next two and half weeks packing up my possessions and pondering the benefits of minimalism. 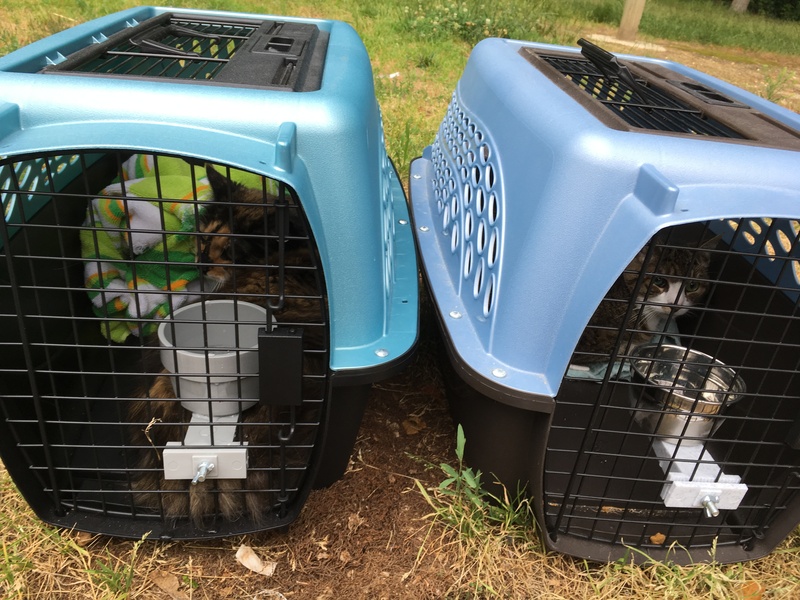 Three weeks ago, I was southbound on I-95 with my ridiculous cats and an assortment of baggage (of which I have a great deal). It’s such an American act, “lighting out for the territories,” as Huck or Laurie Anderson might have it, setting off for someplace new, spurred by an itch similar to Pa Ingalls’. After an 8 hour drive that culminated in extreme excitement and some confusion on the Beltway (Why do some Maryland drivers proceed at speed in a travel lane with their hazards on? Why did that truck think we could occupy the same space, when we both have a corporeal presence? ), I arrived in different weather to a new home already occupied by two gentleman cats and Drunk Tailor. After three weeks, I am nearly unpacked and nearly back to normal operations. I’ve missed a couple of events, including one in central New York I really hated to miss, and few I discovered at the last minute. Still, I am looking forward to reprising my lament for New England as I travel farther south to once again portray a terrible servant married to another terrible servant. With any luck, the yarn I’ve ordered will arrive before we leave and I can begin the tedious work of tent stitching a wallet in a Rhode Island pattern to remind me of home. Until I’m working full time, I’ll be making mitts, bonnets, and boxes both for a future millinery shop of the past and for Etsy. I’ve also got two gowns and two Spencers underway, at least one of which I’d like to have before August.